For the HELP DESK, CLICK HERE. Our competition offers a 30-day guarantee. 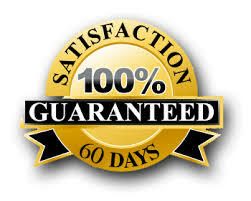 We are so confident that what we offer you will deliver high value that we offer a 60-day, 100% Satisfaction Guarantee. If, during any time of your 60-days from point of purchase, you decide you wish for a refund, simply submit a refund/return request on your order and we'll issue you a refund. NOTE: we DO ask that you honor the intention and complete the workbook PRIOR to returning materials - isn't it only fair that you apply yourself fully to the program prior than asking for any return? To process your return, simply visit our SUPPORT HELP DESK. If you cannot find your order in the help desk, please submit your name, the approximate date your ordered, via email to support @ arriive.com (without spaces) and do our best to assist you.